"This is a must-have book for leadership educators and all student affairs professionals who want to develop impactful leadership programs and the leadership capacity of students. Buy it. Read it. Use it to develop the needed leadership for our collective future." "As we continue to encourage leadership behavior in young people, it is very easy to get lost in a forest of new theories, programs, and definitions. This handbook serves as the compass to guide us, and it grounds the field of student leadership development in principles and best practices. Our challenge is to put this work into action." " Comprehensive in design and scope, the second edition of The Handbook is a theory and practice resource manual for every leadership educator—inside and outside of the classroom." 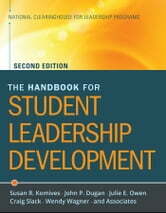 " Every college administrator responsible for coordinating student leadership programming should have this book. 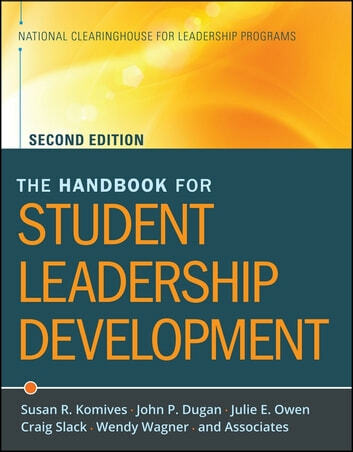 The Handbook for Student Leadership Development takes the guesswork out of leadership program design, content, and delivery." " I recommend without hesitation the Handbook for Student Leadership Development to student affairs professionals who desire to enhance the leadership experiences for all their students as well as teachers who are seeking ways to bolster their students' classroom experiences."